We are excited to share the new Spanish language SBA website. Utilize thousands of business resources now en Español! 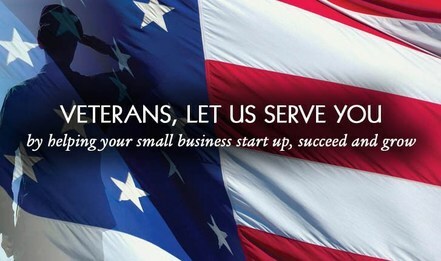 Boots to Business is a three-step entrepreneurial education initiative offered by SBA as an elective track within the Department of Defense’s revised Training Assistance Program called Transition Goals, Plans, Success (Transition GPS). Visit our website to learn more about the process and resources. Calling all Graphic Designers: Enter the SBIR Logo Competition! SBA wants your submissions! The “America’s Seed Fund” Logo Design Competition is for artists & designers to create a thoughtful and imaginative visual representation of the government’s largest innovation effort focused on research-driven, innovative and cutting-edge small businesses through the Small Business Innovation Research (SBIR) and Small Business Technology Transfer (STTR) Programs. Visit the contest site for more information. The Small Business Innovation Research (SBIR) program has a brand new site! SBIR is a highly competitive program that encourages domestic small businesses to engage in Federal Research/Research and Development (R/R&D) that has the potential for commercialization. >Visit the site for more information! Do you know all of the expenses involved in making your product or delivering your service? If so, then you know what your Cost of Goods Sold (COGS) is. In a nutshell, COGS drives profit – it tells you the expenses you have each time you make a sale. SBA and Small Business Majority will host free Affordable Care Act 101 webinars so small business owners can learn the basics of the Affordable Care Act and how they can enroll in health insurance marketplaces. Join us every other Thursday at 2 PM ET. Join us for the Affordable Care Act 101 webinars in Spanish once a month on Tuesdays at 4 PM ET. This self-paced training exercise is an introduction to Federal contracting opportunities for Veterans. Topics include basic information about Veteran-owned businesses and opportunities, services available to small Veteran-owned businesses, small business incentives, and government procurement methods.